Crew: CJRC is a nationally competitive rowing team with fall and spring seasons. Everyone is welcome and there are no try-outs. Fencing Club: The St. X Fencing Club is open to students of all skill levels, from beginners to competitive fencers. The fencing club provides a fun environment in which to engage in training and competitive activities that will increase your endurance, agility, eye-hand-foot control, and balance. All equipment is provided and practices are once a week. Come out and enjoy the opportunity to compete with existing friends and make new ones. Ice Hockey: Ice Hockey is open to all students with the ability to skate. All skill levels. Super fun environment which will allow students the opportunity to learn the game, develop skills and gain endurance. This an opportunity to compete in a fast-action, highly competitive sport and represent St Xavier. H.S. We practice two times a week after school and play competitive organized games on weekends with other high school teams. You must have your own equipment. Rock Climbing Club: Anyone interested can join at any time, no previous experience necessary. We climb at RockQuest in Sharonville for bouldering and top rope climbing at a discounted price 1-2 times each month. St. Xavier Triathlon Team: Swim. Bike. Run...Fun! Join your classmates to be a part of this exciting new team. Contact: stxaviertriathlon@gmail.com or click here for more information. Ultimate Frisbee Club: St. Xavier’s Ultimate Frisbee Club gives students a chance to learn Ultimate Frisbee from experienced, volunteer coaches and to participate in Cincinnati’s Youth Ultimate league (cincyultimate.org). 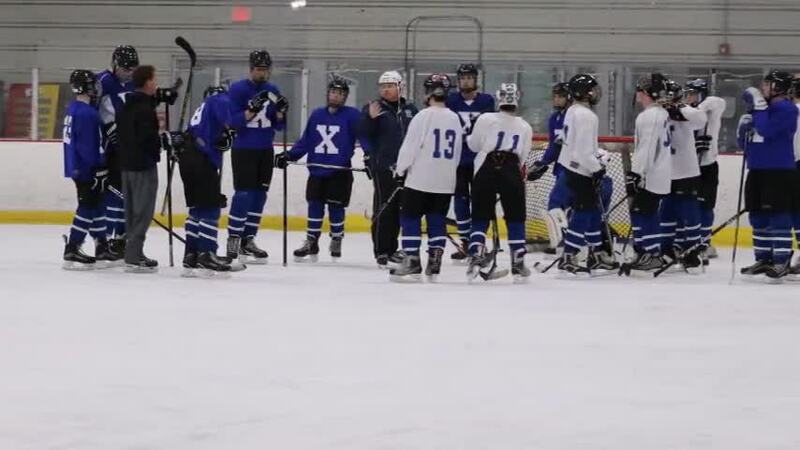 The league generally consists of 20+ High School teams playing locally, and further offers opportunities to participate including the Ohio State High School Tournament. Yoga Club: The Yoga Club meets twice a month on Fridays during flex to practice yoga in the wrestling room. Practices usually run from 11:30-11:55. All skill levels are welcome, as we place more emphasis on reflection and meditation than on the physical aspect of the workout. Mr. McDonald usually leads the practice, but guest faculty members who enjoy yoga will volunteer their time to lead the practice as well.